Working off a gas molecule, the dense Closed Cell Foam fills every void throughout its solid surface, allowing no air or moisture to pass through it. Closed Cell: Our Closed Cell Spray Foam is a two-component gas molecule blown spray foam. The two components, made up of polyol resin and isocyanate, are mixed in a 1:1 ratio, and in an instant reaction, expand to a core density of 1.9-2.2 pound per cubic foot. 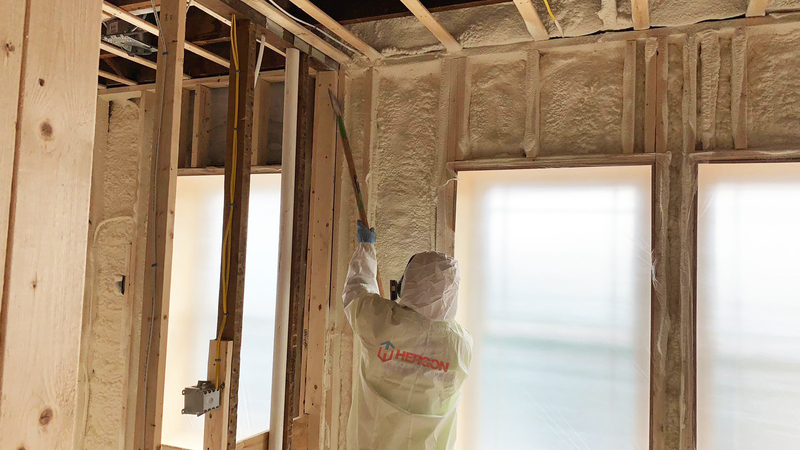 Closed Cell Spray Foam provides superior thermal insulation for the interior of a building, and stops all air infiltration when installed correctly. Hergon Insulation applies 2 lb. Closed Cell Spray Foam into open-wall cavities, crawl spaces, perimeter joists (any exposed rim or band joist), and cathedral/sloped ceilings at an industry leading heat resistance rating of R-7 per inch. While the product must be installed to local code, the amount of application varies. 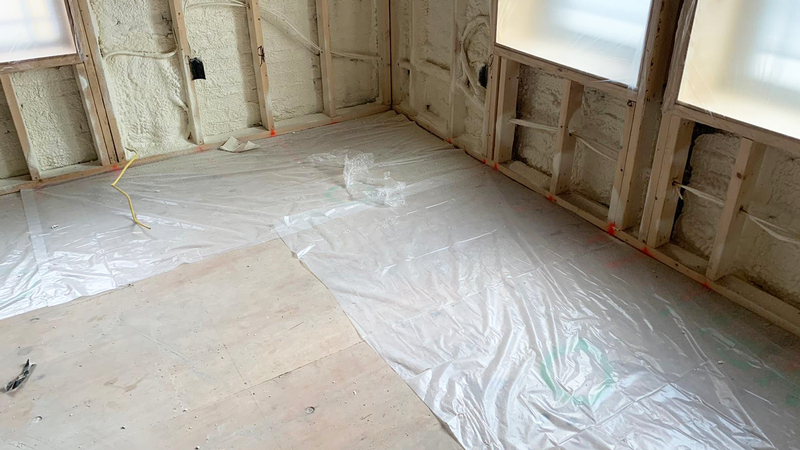 Our Closed Cell Foam, when applied correctly, creates its own vapor retarder (vapor barrier) and while it is being applied, fully cures to the touch within 15 seconds. During application, all surfaces must be free of oil, grease, and debris, and be dry as well. When applying Closed Cell Foam, the working area temperature must be a minimum of 40 degrees Fahrenheit. Unfortunately, Spray Foam systems cannot be installed into existing homes unless the un-insulated surface is completely exposed. Closed Cell Spray Foam ranks among the best insulation products, not only for its resistance to heat transfer, but for its water resistance and ability to air-seal your home or building. Your improved efficiency will contribute to significant energy savings throughout the life of your building, and require a smaller capacity heating and/or cooling unit. With the rising cost of heating, you are sure to see a faster return on your investment with Closed Cell Spray Foam!